Dr Grewal qualified from University Malaya, Kuala Lumpur, Malaysia in 1986 having completed a 4 year dental course (BDS). After graduation, he worked with the health service as a dental officer and then was invited to work as a Senior House Officer and Senior tutor at University Malaya. Here he was posted in the oral & maxillofacial department. In 1992, after a few years in the University as a Senior House Officer, Baljinder opened up his own private practice in Kuala Lumpur. By the year 2000, he had already opened up a second private practice in Kuala Lumpur. 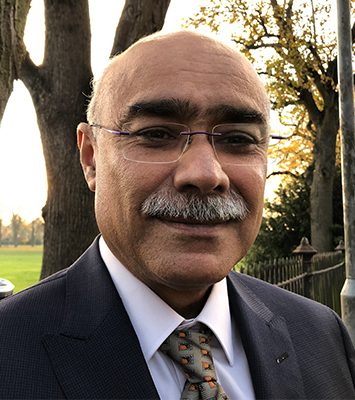 Dr Grewal practises General Dentistry but has a keen interest in endodontics ( root canal treatment ), minor oral surgical procedures (eg wisdom tooth removal) and crown & bridge treatments. He has undergone many courses in these few fields. He came over to the UK with his family in 2016 and passed his statutory examinations with the General dental Council in January 2018. He is currently registered with the General Dental Council.